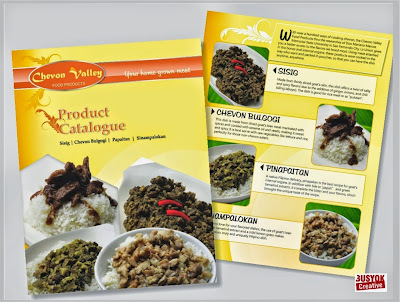 I got another design project, a Product Catalogue for Chevon Valley. 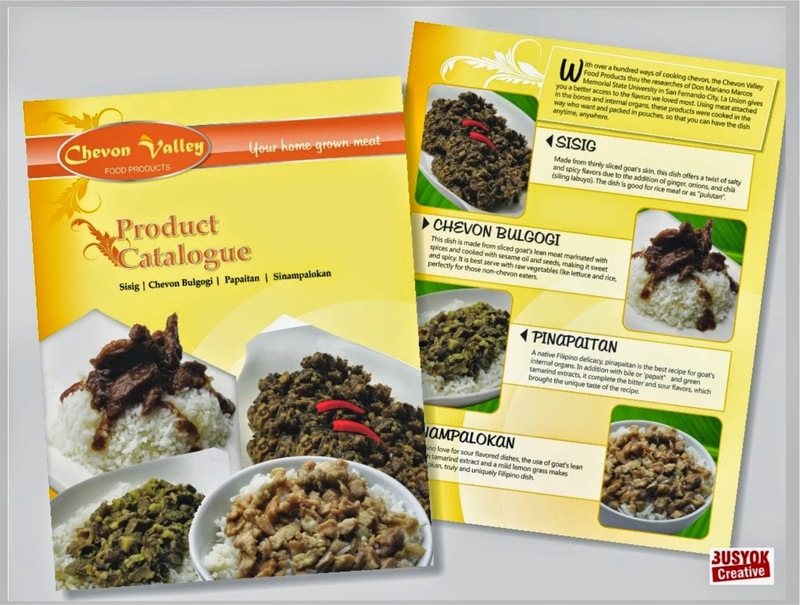 The catalogue contains various recipes from goat's meat (chevon) such as Sisig, Chevon bulgogi, Pinapaitan (A native Filipino delicacy) and Sinampalokan. Each dishes are now available in pouches, so that you can have the them anytime, anywhere.